Since supermarket strawberries are often not very appetizing, and because it is of course much more fun to walk through the fields yourself, you can pick your own strawberries in Berlin's Berry Gardens from May to August! In and around Berlin there are many plantations where everyone can pick as many strawberries as they like. Berlin's Berry Gardens offer the opportunity to pick strawberries and blueberries at six locations. The sweet red strawberries can be picked in Spandau at the Falkensee site or in Oranienburg, for example. The six berry gardens around Berlin are very busy in all weathers. Especially on weekends, the self-pickers usually come in droves to collect sweet, fresh strawberries. A few hours at the plantation is also a wonderful experience in nature for the whole family. Besides, having a snack while picking is also allowed. The final payment is by weight. At around 4 euros per kilo, the offer is even below the usual retail price. After your own harvest you go home happy, with a full belly and some sticky fingers. Below we have listed the 6 berry locations. If you need more tips for the summer in Berlin, just check our blog "6 tips to enjoy the summer in Berlin". Oranienburg stop, transformer station. From the bus stop it is a 5 minute walk. Please follow our signs. 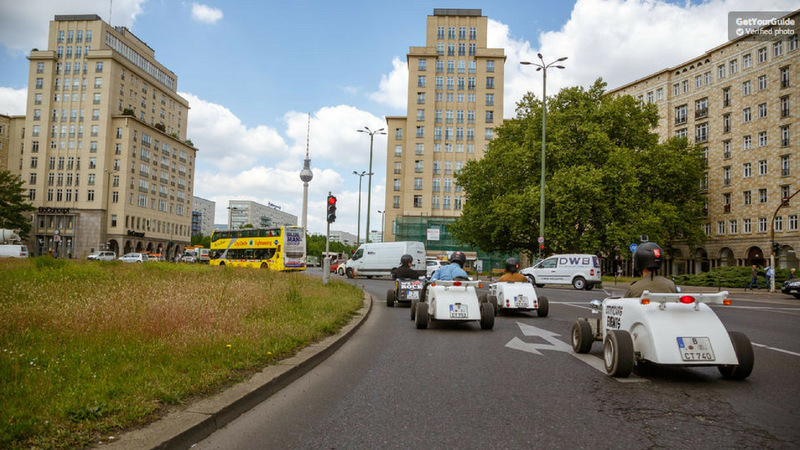 Location now open, picking time daily from 09:00 a.m. to 6:00 p.m.
One of the most exciting city tours is this one in a mini hot rod. 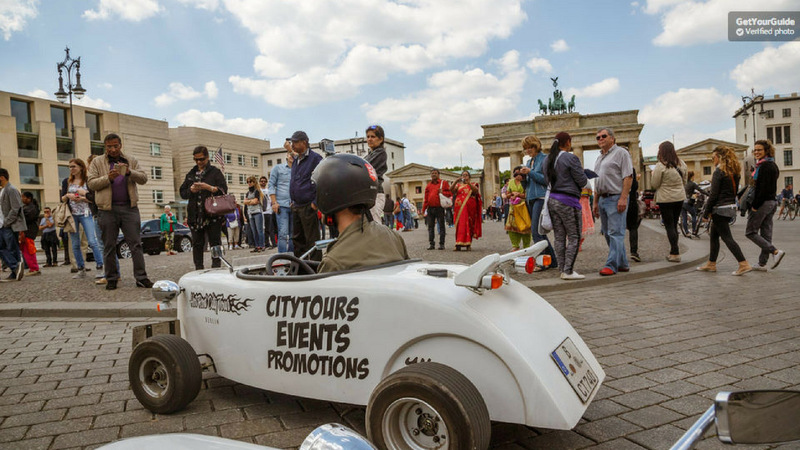 Berlin is always a spectacular experience and these little things are currently as spectacular as sightseeing tour can get in the capital. 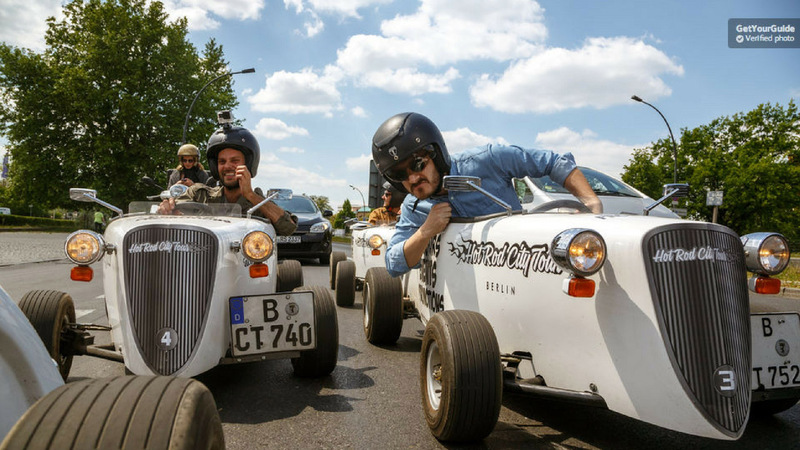 This is what driving pleasure looks like, in a stylish soapbox for adults. 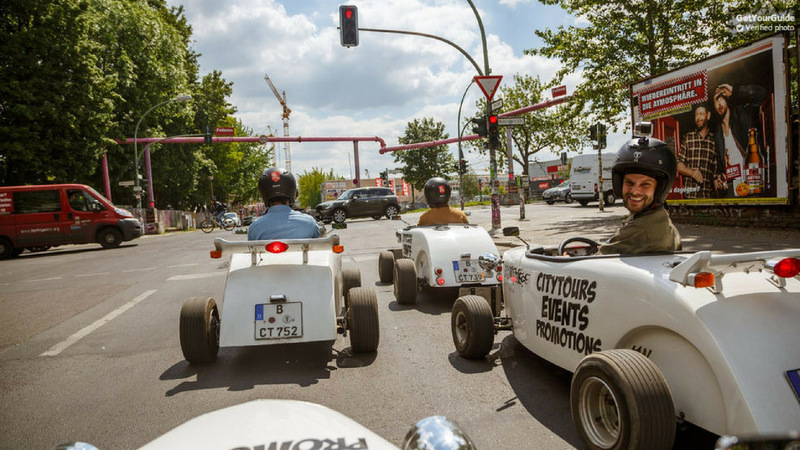 A guided tour through Berlin awaits you. Past the Warschauer Brücke, direction East Side Gallery, Mercedes-Benz Arena and then towards the Brandenburg Gate.